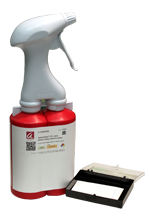 WesternBright ECL Spray provides both components of WesternBright ECL in a convenient, easy-to-use spray bottle. Just point and spray the blot, with no need to measure or mix the components. 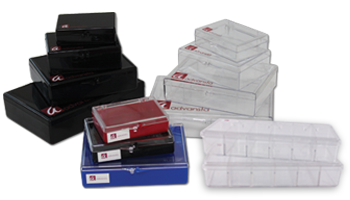 Save time, and save money by reducing consumption of consumables such as tubes and pipette tips. WesternBright ECL is a horseradish peroxidase substrate optimized for chemiluminescent Western blots imaged using X-ray film. 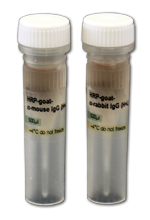 WesternBright ECL requires as little as ten times less antibody than other substrates, allowing you to save precious antibodies and samples. Additionally, the WesternBright ECL signal is long lasting, allowing multiple exposures to be carried out without substantial signal decay. 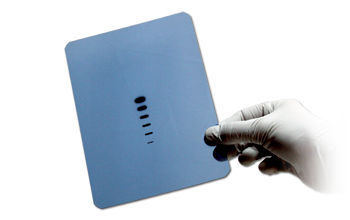 WesternBright ECL is optimized for chemiluminescent Western blots imaged using X-ray film. 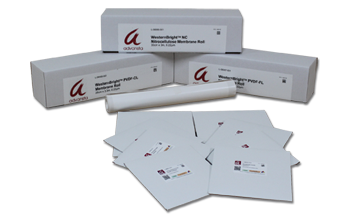 WesternBright ECL is specially formulated to produce a strong signal for sensitive film imaging. WesternBright ECL substrate produces a strong, long-lasting signal after reaction with HRP. Duplicate slot blots containing serial dilutions of transferrin protein were detected using WesternBright ECL or Amersham™ ECL™ (GE Healthcare). Both blots were simultaneously exposed to the same sheet of film for 15 seconds. WesternBright ECL is several times more sensitive than Amersham ECL. The higher sensitivity of WesternBright ECL is especially important when detecting low abundance proteins. Duplicate Western blots with serial dilutions of HeLa cell lysate were probed for ERK1 and detected using either WesternBright ECL or Amersham ECL HRP substrates. Each blot was exposed to film for 1 minute. 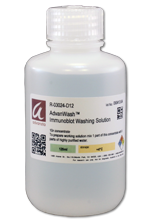 Duplicate slot blots containing serial dilutions of transferrin were probed with the antibody diutions shown, and detected with either Westernbright ECL or Pierce ECL (Thermo Scientific) according to the manufacturer’s instructions. The blots were imaged simultaneously on the same piece of film. WesternBright ECL produced the same sensitivity with ten times less primary and five times less secondary antibody. The WesternBright ECL signal is long-lasting, allowing long exposures or multiple exposures without substantial signal decay. WesternBright ECL produces a long-lasting signal. A blot detected with WesternBright ECL can be imaged six hours after substrate incubation. There is no need to rush to the darkroom to image a blot. WesternBright ECL produces a strong signal resulting in greater sensitivity with much shorter exposure times. Duplicate blots containing serial dilutions of transferrin protein were detected using WesternBright ECL or Amersham ECL according to the manufacturers' instructions, and the blots were exposed to the same piece of film. More bands can be detected with a 30 second exposure of the WesternBright ECL blot than with a 5 minute exposure of the Amersham ECL blot.